Westfield North is a great place to live and work — and now, it’s also the best place to find quality dental care. 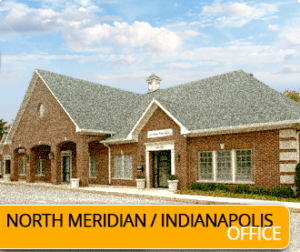 The Indy Dental Group is pleased to open its doors in your neighborhood! 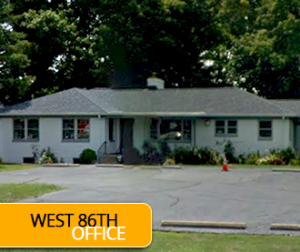 Conveniently located off Highway 31 at 322 W Main Street, your Westfield dentist is here for you and your loved ones at the hours you need, including until 6:00 pm on Thursdays. For many people, staying healthy means eating foods that are lower in calories and higher in nutritional value. Choosing sugar free treats is one low-cal way health-conscious people feed their sweet tooth. Unfortunately, these foods may be damaging that very sweet tooth. Ingredients in sugar free foods may be great for your waistline, but it could still be detrimental to oral health without proper dental care. Dentists are shocked by some of the DIY teeth whitening methods you can find on the internet. Crushed strawberries, charcoal, gargling peroxide. While these techniques might have limited impact for people with very mild dental staining, the results are completely unpredictable, and you may even damage your teeth or soft tissues. Rather than taking a risk on questionable DIY teeth whitening tricks, leave it to the professionals, and schedule a teeth whitening consultation with an Indianapolis cosmetic dentist instead. Many people ask their dentists about toothpaste. What’s the best kind? What should I use for sensitive teeth? How much do I use? Does whitening toothpaste work? With all the questions about toothpaste, patients are often surprised to hear that choosing the best toothpaste may just come down to personal preference. The most important thing is that you keep up with your regular oral hygiene routine and visit the dentist at least twice a year for preventive dental checkups. Keep reading to hear some advice that will help you understand what to look for when choosing a toothpaste that meets your unique needs. You may have heard the amazing story of Jay, a 21-year-old whose fear of the dentist kept him from properly caring for his smile throughout his entire lifetime. In fact, Jay never even brushed or flossed his teeth! His magnificent dental transformation has gone viral, and people around the world are chattering about dental care. It’s not often that brushing, flossing, and visiting the dentist are the focus of a viral video, but if Jay’s story gets more people to start taking better care of their smiles, some good has come for this young man’s oral health care struggle. What Story Does My Oral Health Tell the Dentist? You may already be aware that your smile says a lot about you. A warm, welcoming smile can lead to a successful introduction. Teeth with a flawless, healthy appearance tell others you take time for daily hygiene and care. However, the story your smile tells a dentist during preventive dental exams may be much more important. That story might just save your life. Dentists say that regular dental checkups and teeth cleanings should be your first line of defense against overall health conditions as well as an essential part of your oral hygiene routine. Recent reports indicate there are numerous ways a trip to the dentist can keep you healthier and happier for life. Comments Off on What Story Does My Oral Health Tell the Dentist? When you hop in the shower, you make sure to wash every part of your body—or at least we hope you do! Soap bubbles and drips down each and every limb, even your back! So why are some patients not as through when it comes to cleaning their teeth? Just because your front teeth are what most people see, your back teeth are just as important. There are hard-to-reach areas in your mouth, but hopefully, these tips from your Indianapolis dentist can help you optimize your brushing habits. Your Dentist in Indianapolis Says Stay Away From Seltzer! There’s something enchanting about bubbly drinks that still beverages just can’t achieve. Even unflavored, entertaining effervescent infused water contains carbonic acid that can gradually erode your teeth. *Gasp! * It’s time to face the facts! Let’s take a look at sparkling drinks and what they do to your smile alongside your dentist in Indianapolis. Comments Off on Your Dentist in Indianapolis Says Stay Away From Seltzer! When you’re having fun in downtown Indianapolis with your friends and the cameras come out, do you turn away or keep your mouth closed so no one can see your teeth? If your teeth are stained or have minor cracks, chips, or other imperfections, you might shy away from showing off your bright personality. Porcelain veneers in Indianapolis might be the solution you’re looking for. The idea of getting dental x-rays may worry you. You’ve probably heard a lot on the news or from other sources about how important it is to avoid radiation. While it is true that x-rays require the use of radiation, there is no need to refuse x-rays when your Carmel dentist recommends them. In fact, x-rays are a very safe and useful medical diagnostic tool. Would you like to learn more about dental x-rays and their benefits?